Our fifth mini-reunion took place at the Imperial War Museum, London on Tuesday the 11th April 2007 and although there was much to explore in the Museum most of our time was spent reminiscing about old times. 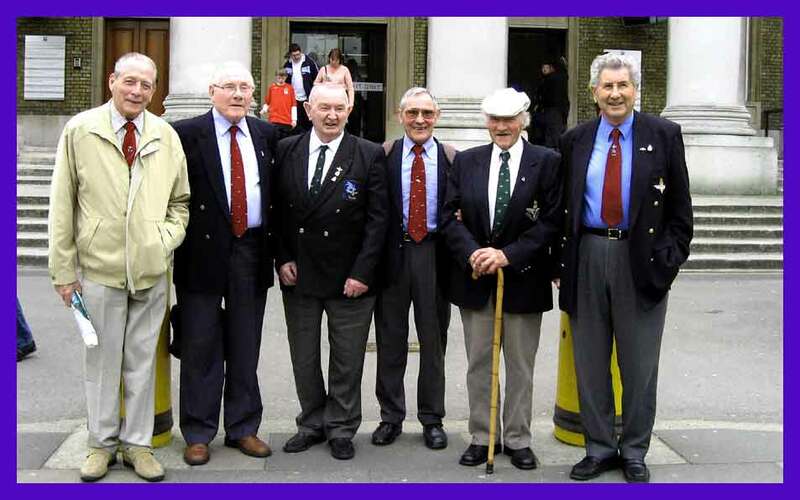 As our members are spread out all over the UK, with a few living abroad, it is impossible to arrange a venue that is convenient for all and our largest turnout so far was in 2005 when ten of the lads made it to Eden Camp. We were hoping to beat the record this year but due to a variety of last-minute problems only six arrived at the Museum but everyone decided that it had been worth the effort. The day ended at the IWM cinema,with a 60 minute private showing of several short film clips of training at Ringway and Tatton Park during the period 1940 to 1945. Most Palestine veterans will not recognise the faces in the group photo so individual photos taken in 1947, are added below.